The AHP Board of Directors approved the name and logo in time for the release of the 2016 awards contest rules. Board members agreed that the new name gives a broader spectrum to the AHP awards and is the right direction to go for the association and its members. “I think the EMA's has a nice ring to it!” says Jennifer Denison, one of AHP’s newest board members. The AHP Equine Media Awards gets underway this month with the release of the contest rules and class list. “Based on member feedback, we have tweaked a few classes and added several new classes for 2016,” says Brune. News Reporting Related Feature Single Article class for a feature story related to a breaking-news event. Publication Staff Single Online Advertisement is a new class in advertising design for Publishing Media members. Individual members have their own Equine-related Freelancer Website class for their brand site. There are several new versions of former classes offered as combined classes open to all members except students. Equine-related Newsworthy Video is for a single video on a news-related event or story. Equine-related Brand Marketing Video is for a single video created for marketing a brand. 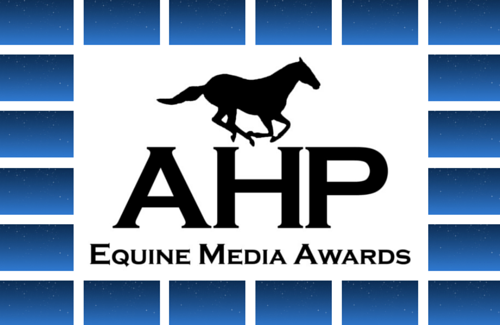 To enter the AHP Equine Media Awards, you must be an AHP member for 2016. Entry forms are posted to the Members-Only page and members must login to access the forms for download. American Horse Publications is a non-profit professional association dedicated to promoting excellence in equine media and better understanding and communication within the equine publishing industry. For more information, please contact: Chris Brune, American Horse Publications at ahorsepubs@aol.com or 386-760-7743 or visit the AHP Web site at www.americanhorsepubs.org.